As established in other “Watch Your Language” articles for this Blog, as a general rule, courts will uphold language in commercial agreements, unless it is contrary to statutory law or public policy. Because of this judicial deference to “commercial language”, you must say what you mean, precisely, or a judge will decide what you meant. Saying what you mean, precisely, is even more important in the context of negative covenants that limit the uses that can be made by the owner or occupier of land (aka restrictive covenants). Why? Because it is well-established that restrictive covenants on the use of property are generally viewed with disfavor in Ohio courts and in other jurisdictions. The free use of land and property rights has occupied an important part of our history, and is rooted in the Constitution. Nonetheless, courts still enforce restrictions when they are clearly and unambiguously used in covenants (unless contrary to law or public policy). Certainly, restrictive covenants constituting unlawful discrimination in Ohio (and elsewhere) are held to be void (See ORC Section 5309.281) and restrictions on the type of use (e.g. residential, commercial…) are usually upheld. It is between these two extremes where it gets difficult to predict. 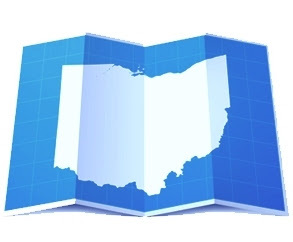 As a guide, there are five criteria used by courts in Ohio to assist them in analyzing whether an enforceable restriction has been created by a covenant. What about an amendment to existing restrictions which amendment prevents a landowner from using the property for the purposes for which it was originally purchased? This was the issue before the court in Grace Fellowship Church, Inc. v. Harned, 2013-Ohio-5852(11th Dist. Ct. of App., Trumbull Cty.). The basic facts of the case are as follows: In 1989, owners of a tract of land recorded “Restrictions Covering All Lots and Parcels of Land in the Meadows Plat, Vienna Township.” These 1989 restrictive covenants established required set-back lines, size of dwellings, construction restrictions, and limitations on items that may be placed or parked on the land. The 1989 restrictions also contained the following language re: effective dates and modification procedures: “The covenants herein shall be construed as covenants running with the land, and shall remain in effect until January 1, 1999, and thereafter, unless and except modified or changed by a vote of 51% or more, of the lot or acreage owners…” In March of 2011, Grace Fellowship purchased land located at Lot 13 in the Meadows Plat. Grace Fellowship also purchased 70 acres of land adjacent to the Meadows Plat. Grace Fellowship intended to build a church on the newly purchased land and to construct a driveway or access road upon Lot 13. Grace Fellowship’s plans did not violate the 1989 restrictive covenants. In December of 2011, a majority of the owners in the Meadows Plat signed a document attempting to amend the 1989 restrictive covenants. The amendment created additional restrictions on the usage of the property in the Meadows Plat, providing that: “All lots or acreage contained in the original Meadows Plat shall be used solely for single family residential purposes. No lot or acreage contained therein shall be used for or contain a road, highway, alleyway, driveway, passageway, thoroughfare, avenue, street, route, parkway, byway, trail, lane, path, or parking lot…” By virtue of the 2011 Amendment, Grace Fellowship would not be able to use Lot 13 for a road, and accordingly, it would not be able to operate its church on the adjoining 70 acres. In 2012, Grace Fellowship filed a Complaint for Declaratory Judgment and Other Relief against the owners of the lots located in the Meadows Plat. Grace Fellowship argued that the restrictive covenants had expired on January 1, 1999, and that the 2011 amendment violated Ohio’s Marketable Title Act because it allowed an increased burden to the property upon the amendment of the restrictive covenants. It also argued that the amendment violated its religious freedom, disallowed the church to have ingress and egress across the property, and that a proper vote was not held to modify the covenants. The Meadows Plat landowners argued that the 1989 covenants had not expired; the landowners could amend the covenants; the amendment applied to existing landowners; and that notice was not required to obtain the votes necessary for the amendment. The trial court boiled down the definitive issue to be determined as whether or not a “modification clause” in a subdivision’s restrictive covenants gives a purchaser of property notice that future changes may restrict his use of that property, as required by the second criteria used by courts in Ohio to assist them in analyzing whether an enforceable restriction has been created by a covenant. The court of appeals bolstered its reasoning by first citing the general rule with respect to construing agreements limiting the use of real estate, which general rule provides that such agreements are to be strictly construed against limitations upon such use, and that all doubts should be resolved against a possible construction thereof which would increase the restriction upon the use of such real estate. Applying such general rule, the court emphasized that the initial (1989) restrictions used specific language that provided only “the covenants herein” could be modified. Those covenants deal with setbacks and building restrictions; not restrictions on use. What is the moral of this story? Clearly, “watch your language with restrictive covenants”. These covenants are not favored by the courts and strictly construed. If the original restrictions in Grace stated that the land owners could (by majority vote) amend the initial restrictions, as well as enact additional restrictions such as limiting the parcels to residential use only, perhaps the result in Grace would have been different. On the other hand, when houses of worship or other “suspect uses” are involved, it seems that attempted “end arounds” can only work on the football field.